Apple just announced some major messaging changes coming to iOS 8, but one new feature in particular could put the company in direct competition with Snapchat. Cupertino is adding the ability send self-destructing video, audio and photo messages using iMessage. Basically, if you're messaging someone and you're using using an iOS 8 device you'll be able to decide how long your message should last before self-destructing, with options ranging from an hour to a full day. For now this feature doesn't cover text messages, but everything else is covered. Apple actually promoted the new service as a way to help save storage space on your phone, but it's also clearly an assault on Snapchat. Apple's new messaging app also makes it easier to share photos, videos and audio overall with iOS 8. Just hold down the camera button to quickly record and send off a message. Again, this feature seems designed to compete with Snapchat, which gained an edge over the competition partially thanks to how quickly you can shoot off a photo or video with the app. 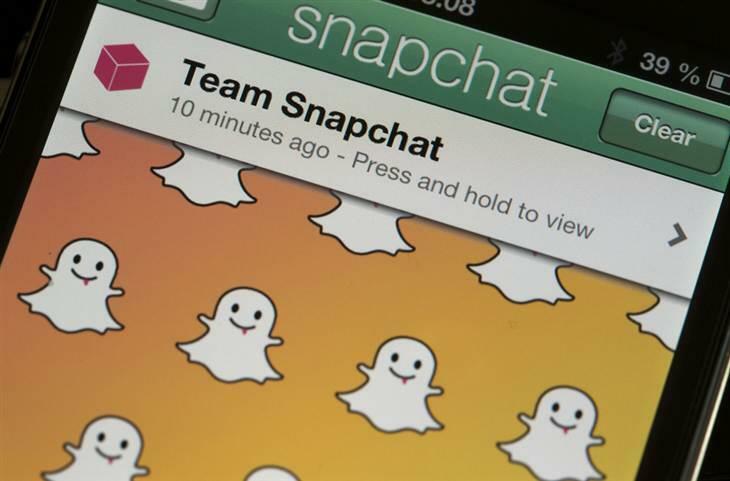 Considering Snapchat's rapid growth, we doubt the company is very worried about Apple's new self-destructing messages. It's also worth noting that this iOS 8 feature will only work over Apple's iMessage platform, meaning any Android users will still need to rely on Snapchat for sending ephemeral messages.